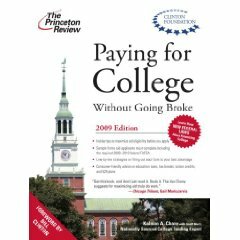 I just finished a great book Paying for college without going broke by Kal Chany. I find it the best financial aid guide on the market. This book is a must have for anyone who is preparing to apply for financial aid. Includes information on maximizing aid eligibility. Offers solid strategies for filling out the FAFSA. Includes worksheets and sample forms. Written by Kalman A. Chany, one of the nation’s leading experts on college funding, Paying for college without going broke is the most complete financial aid guide on the market. The large number of college savings worksheets and sample financial aid forms that can be found in the back of the book. I highly recommend Paying for college without going broke. Also, please read my post How does a student qualify for free-money? Landing a great work commonly begins with having a great college education. You might be shocked to find out that you do not have to attend a typical brick and mortar university or college to prosper in the occupation globe.